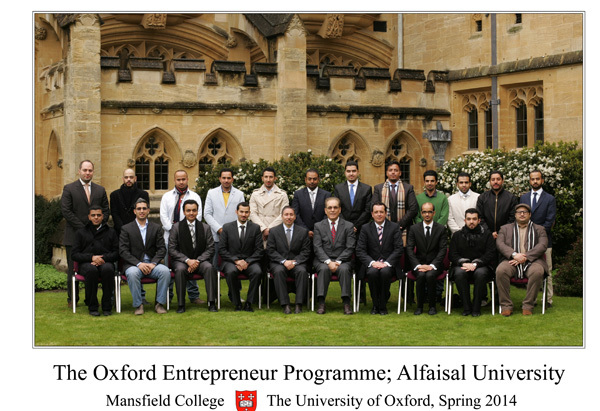 On March 23, 2014, a group of 43 of second year (graduating) MBA male and female students supervised by Dean of College of Business Dr. Bajis M. Dodin and Mr. Talal Alsamman, left Riyadh to the United Kingdom to attend a one week residential program about Entrepreneurial leadership at Mansfield College, University of Oxford, UK. The training and educational element of this program was from 23rd to 29th of March, 2014. 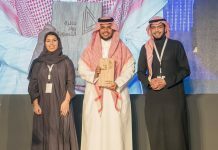 The program consists of several modules; these include Personal Leadership, Authemtic Change Management, Entrepreneurial Issues (such as Entrepreneurial Leader, Entrepreneurial Journey, Funding for New Ventures, Venture Capital and Private Equity), and Branding (including Competitive Positioning, Strategic Innovation, Building an Islamic Brand, Building a Global Brand). It also included cases and business & factory tours in Oxford and London such as Oxford Islamic Center, Maclaren Car Factory, and Lloyds of London. 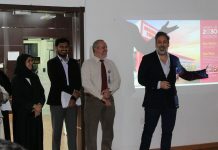 The program was delivered by world class professors and practicitioners from the University of Oxford (Said Business School), Cranfield School of Management, and The Angel Investors. At the end of the program, every student has to submit a report about the impact of this experience. The overarching goal is that students are able to use the art of research and writing to punctuate Oxford experience with a report reflecting her/his experience and what was learnd from different scholars, field studies, and the management innovations. In common with all MBA courses taught at the Alfaisal College of Business, this course is taught in accordance with the learning outcomes prescribed by the KSA Ministry of Higher Education (MOHE). The above program is being extended to the senior and junior students in AU College of Business. In June 7-14, 2014, forty undergraduate Business Administration students of CoB will be attending a residential week in Wolfson College at Oxford University studying a specially designed program.